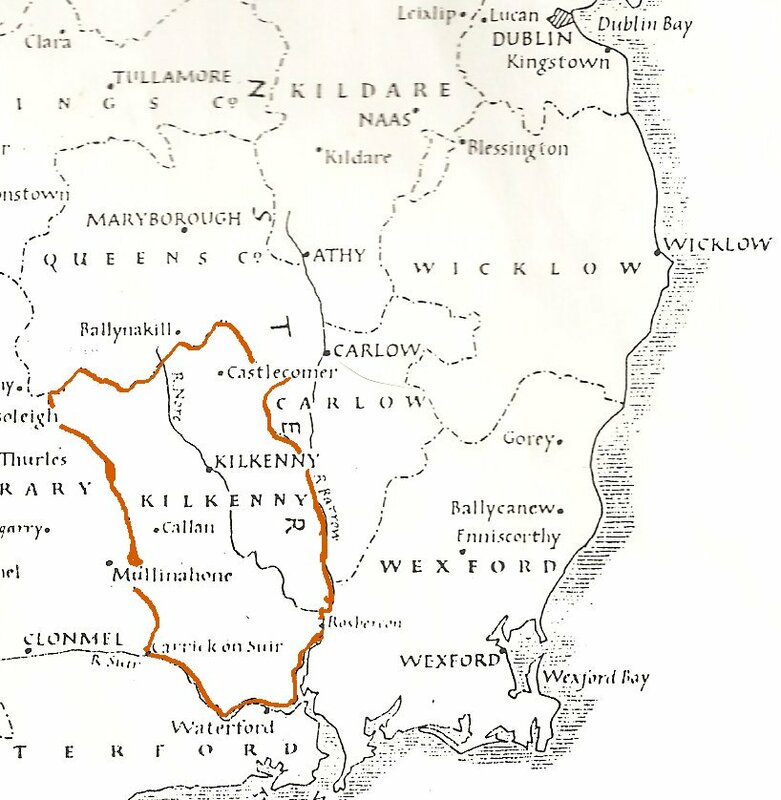 Map Source below: This map is a portion of a widely-distributed black and white map of Ireland in 1848. Ontario Genealogical Society, ISBN 1-55075-048-8, page 5.
assisted emigration started well before that. 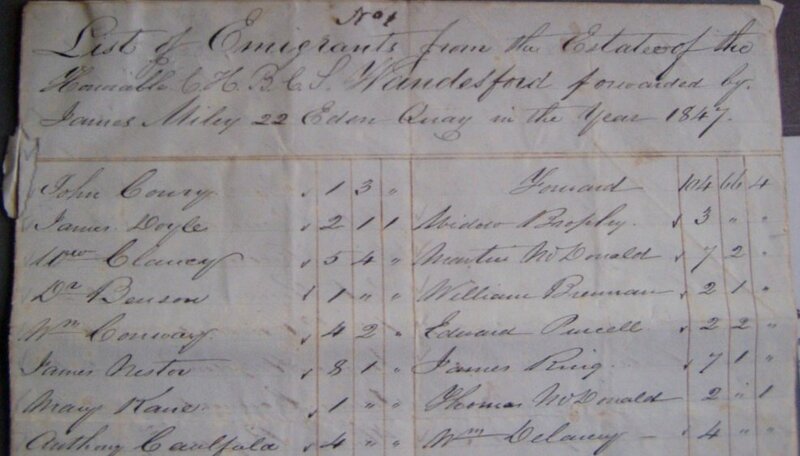 See also our web page on Irish Famine immigration in the Ottawa, Canada area. an incentive for Protestants to emigrate. Lawler, daughter of William Lawlor and of Mary Broomfield of Goulbourn Township. The witnesses were William Peel and Bridget Lawler. 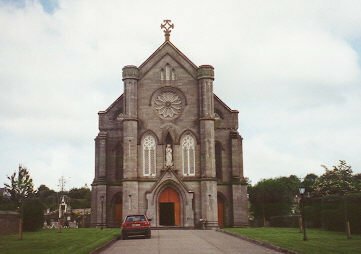 daughter of Denis Brennan and Mary O'Faul, Parish of Castlecomer, County Kilkenny. The witnesses were Patrick Corcoran and Ellen Fitzgerald. Nepean Township, now part of the City of Ottawa. The witnesses were James Emery and Ann Bamkirk / Bambrick? and Mary Maher / Meagher. The sponsors were Thomas Troy (parents from Ballingarry, County Kilkenny) and Margaret Dooley. daughter of age of Peter Cavanagh and Elizabeth Jeffers / Jeffries of this parish. Present: Daniel Barton and Elizabeth Jinks. some of these might be relatives. There are hundreds of names on the list below. Just a few from the first page are included here. 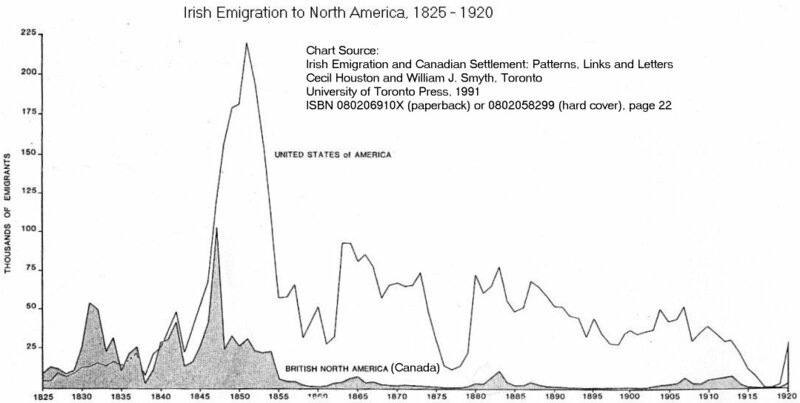 Thanks to Kevin Gerald Ryan who posted this link to our Facebook page, Irish Famine Migration to Canada, 1846-1854. He is researching his Ryan ancestors from Castlecomer. 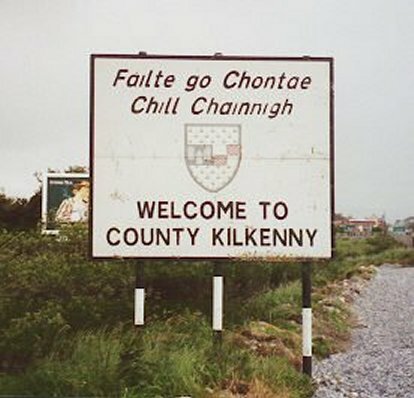 See the Wikipedia discussion about this battle between tithe collectors and tenant farmers in southern Kilkenny.